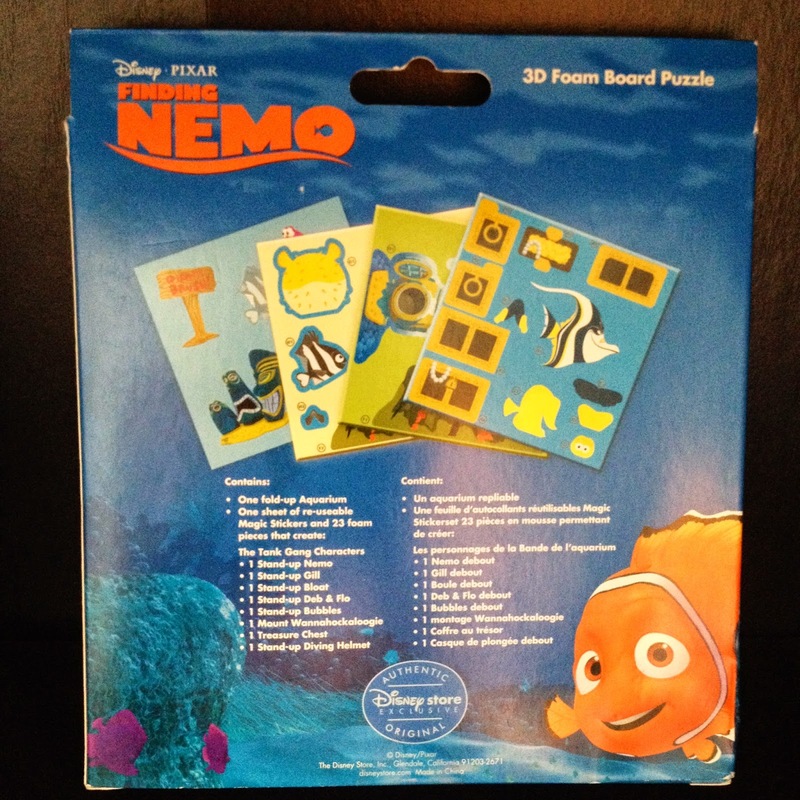 Here we have a really cool item from a few years back...a Disney Store exclusive Finding Nemo 3D Foam Board Puzzle! 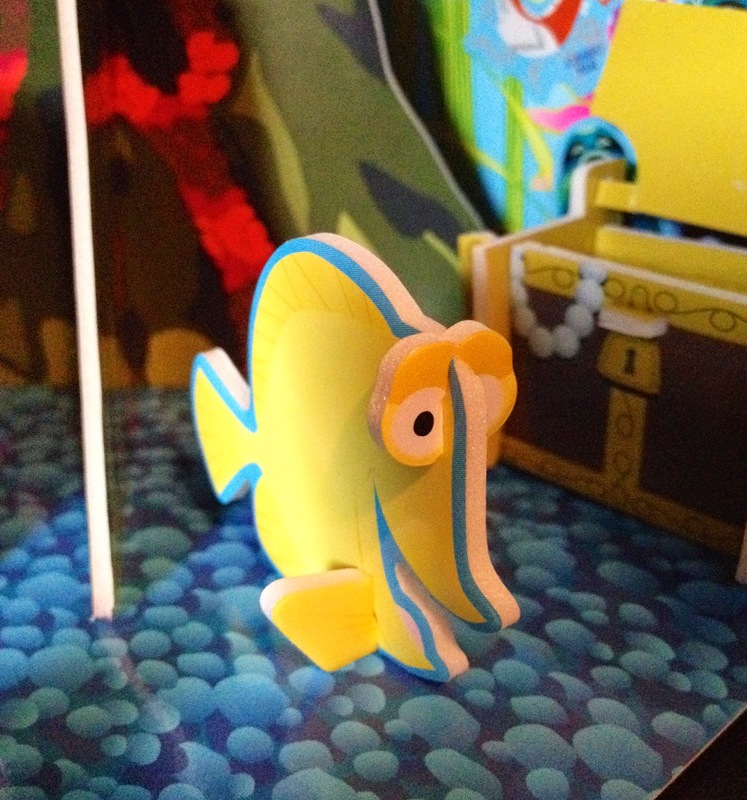 I found this just recently by just searching for "Finding Nemo Rare" on eBay. I was pretty excited about it since it was a really fun looking item that I had never come across before. I knew it would make a great display piece and it doesn't disappoint! 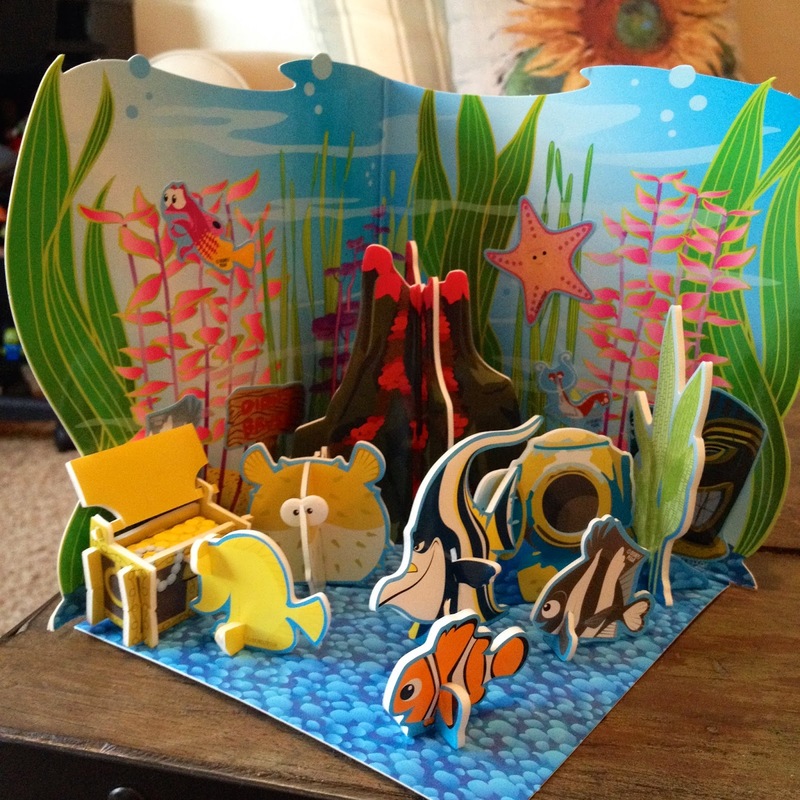 This "puzzle" (although, I'd consider more of a "playset") is based on the classic aquarium"Tank Gang" seen in the film. I don't know exactly when this was available at the Disney Store, but I'm assuming it dates back to 2003 when the film was released? Or could it have come out near the film's 3D re-release? I haven't been able to find any additional info on this anywhere online, aside from the eBay listing I purchased it from. 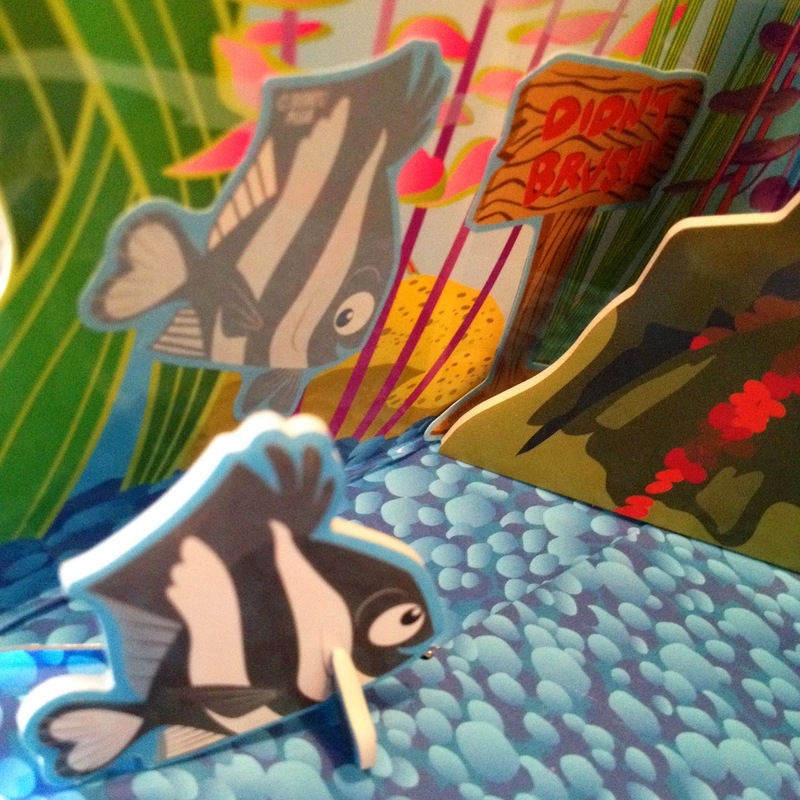 There isn't even a copyright date on the box or directions, so I guess you could say this is a pretty elusive item! If you know any other details about it, definitely let me know by posting a comment below or by shooting me an email. 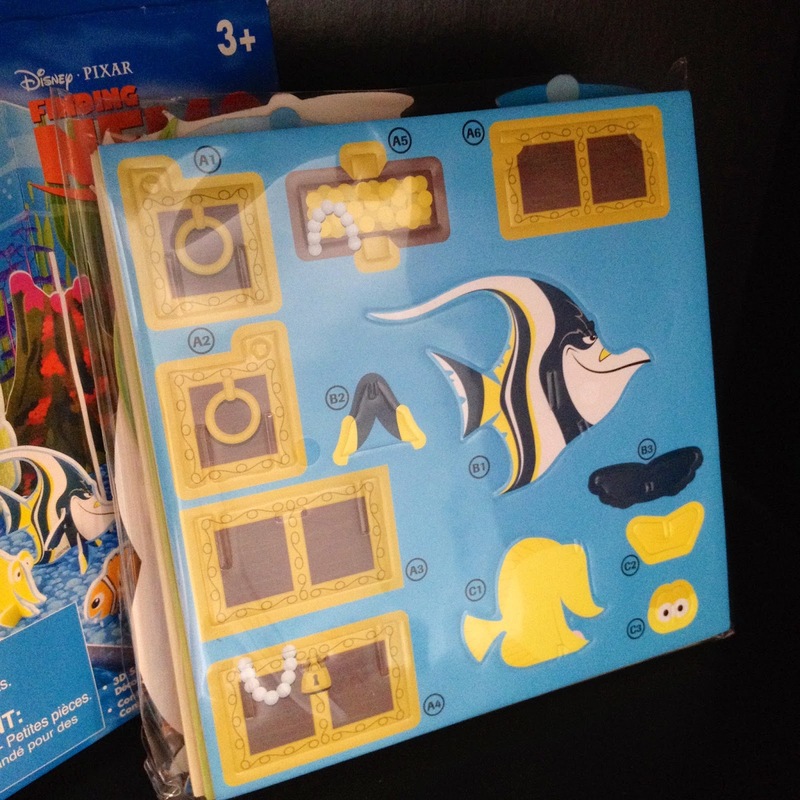 This playset comes with one fold-out backdrop, three sheets of punch-out 3D characters/props (that you assemble) and one sheet of reusable character stickers. 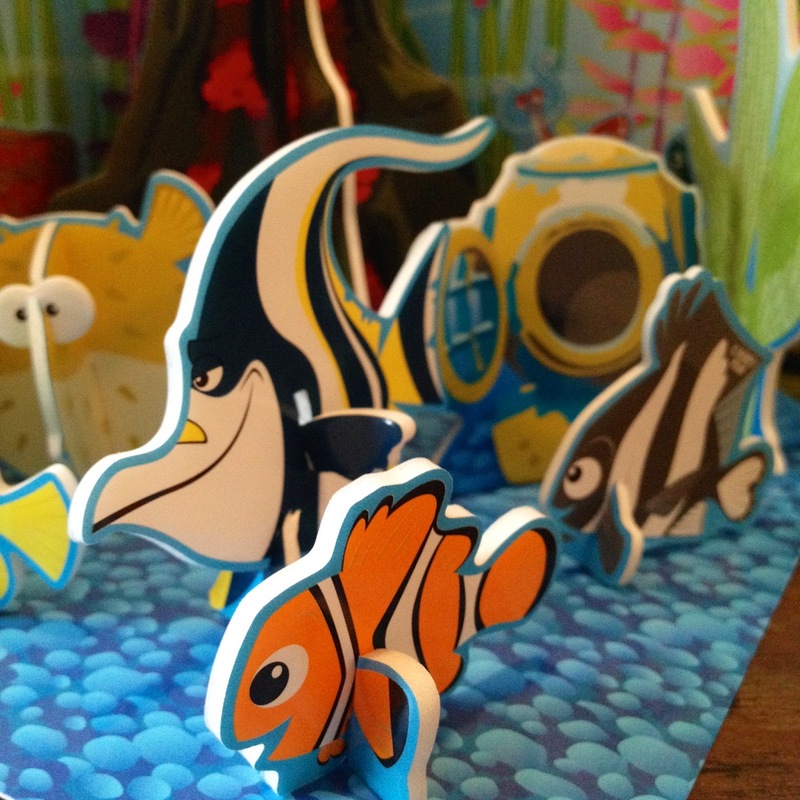 Although this product is for ages 3+, I wouldn't recommend it for kids that young. Every piece of this set is made from a very fragile foam material and the characters and props are quite precarious once assembled. You have to be especially careful when punching them out of the boards prior to initially assembling. Even I had a couple close calls with some of the pieces almost tearing, but luckily none of them did. That would have been unfortunate since there are no replacement pieces. Don't get me wrong though, this is a very awesome, quality product. It's just that I wouldn't have young kids assemble it without an adult. Ultimately, this is a pretty easy thing to assemble. The directions are simple to follow, with no words even needed. 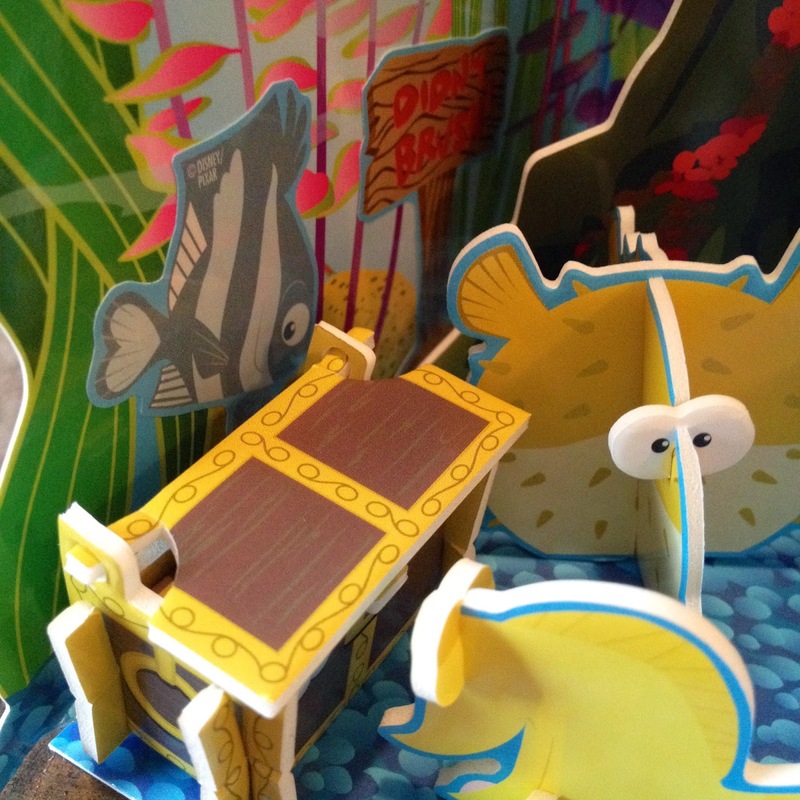 It took just about ten minutes to put the whole playset together, but again, be careful! 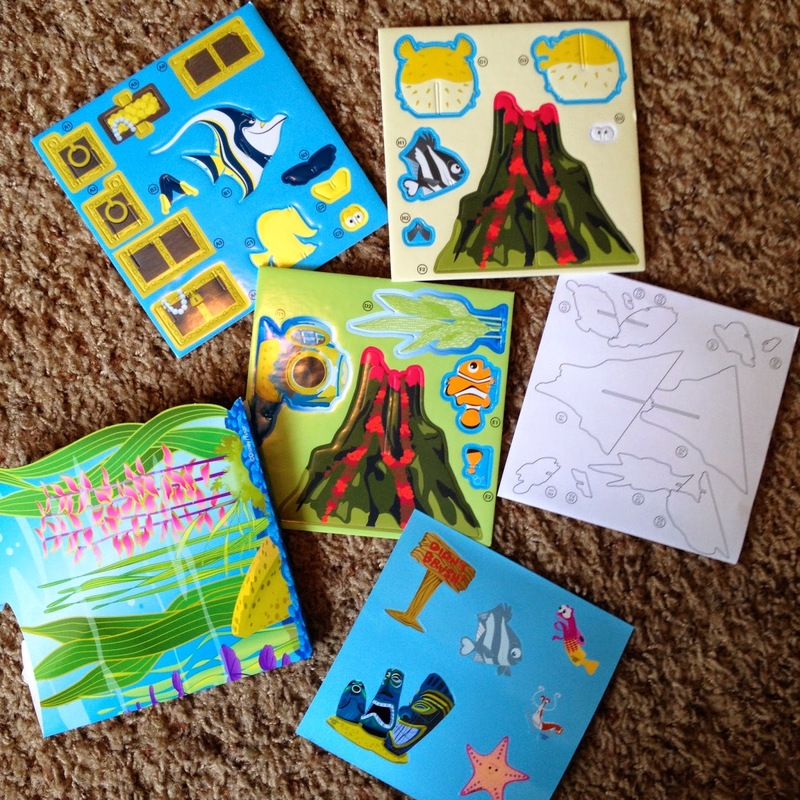 The re-usable stickers included are: Peach, Gurgle, Jacques, Deb's reflection Flo, a "Didn't Brush!" 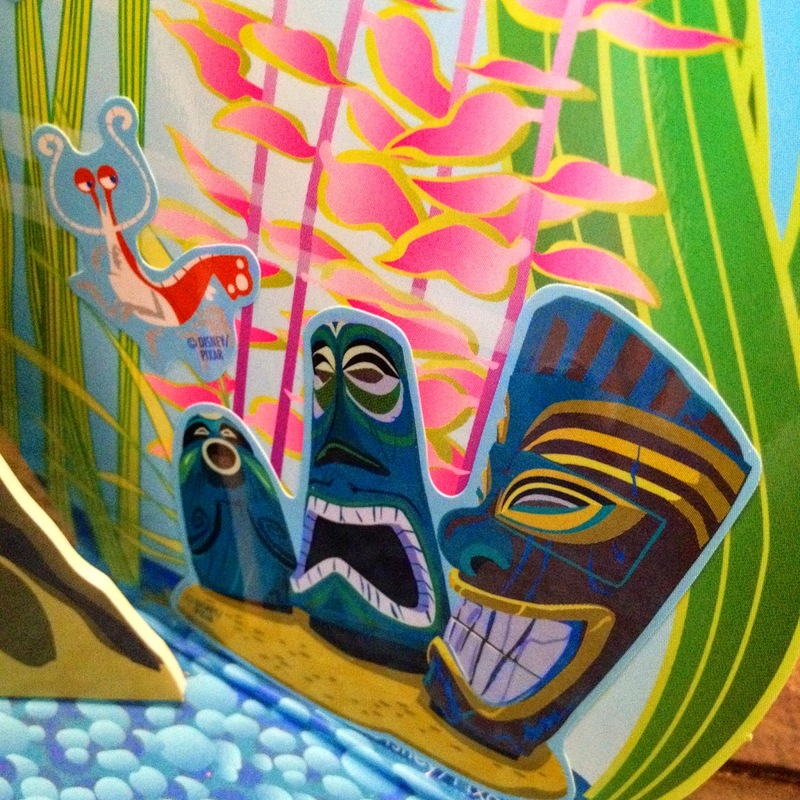 sign and a trio of tiki heads. 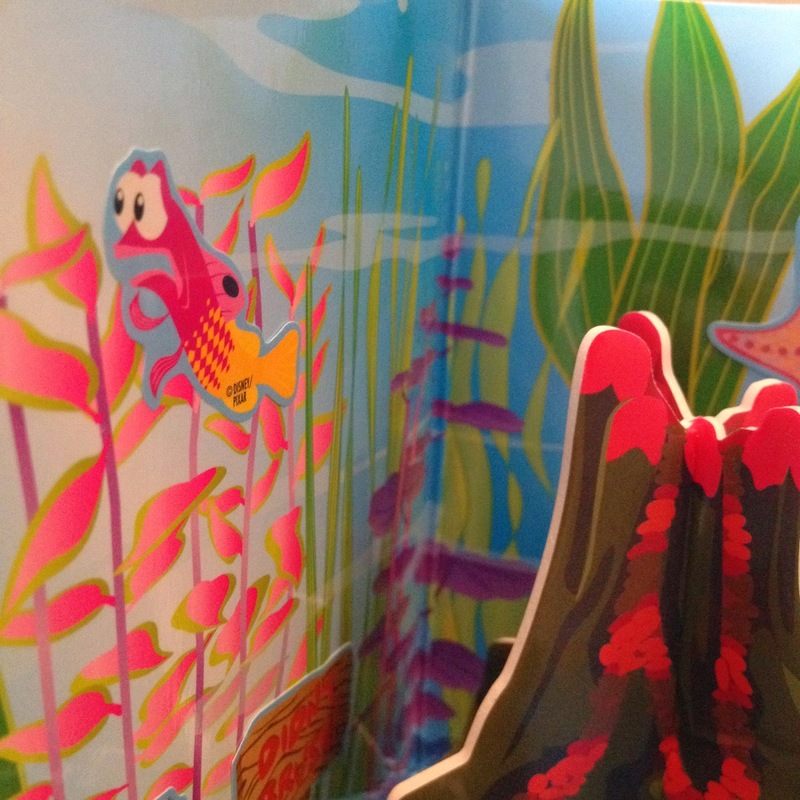 They can be placed wherever you'd like on the backdrop. 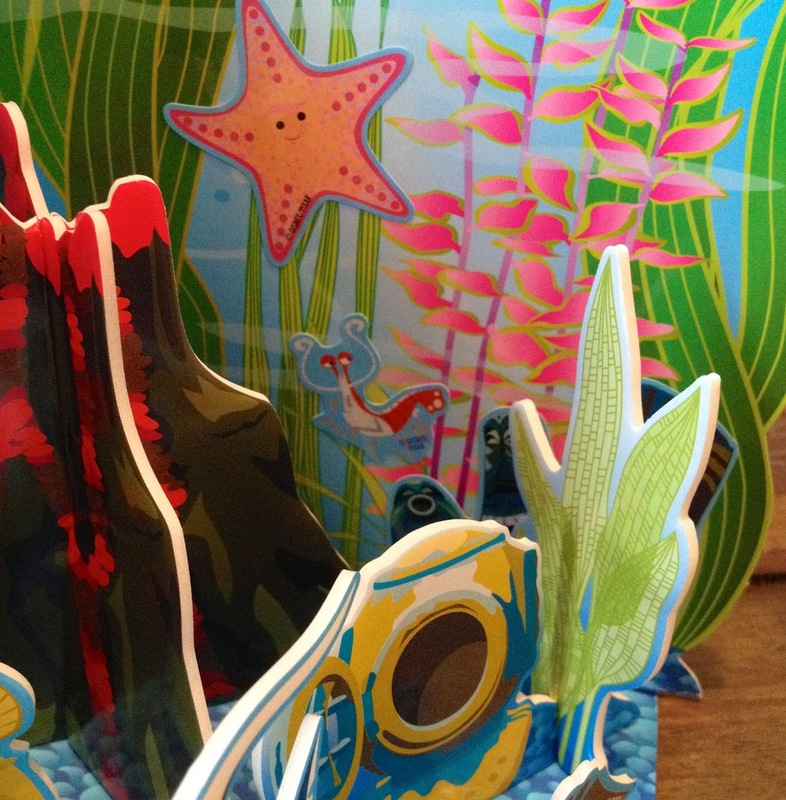 The 3D foam characters/props included are: Bubbles, Gill, Nemo, Deb, Bloat, the "Mount Wannahockaloogie" volcano, a treasure chest and a diving helmet/seaweed decoration. Between the stickers and the foam characters, every member of the tank gang is represented here. 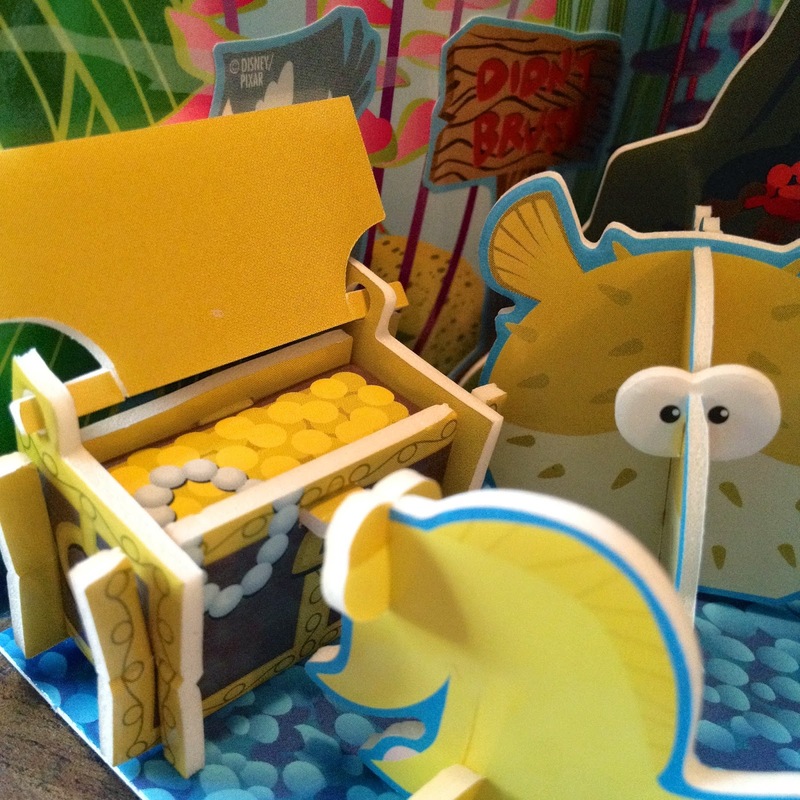 The treasure chest opens and closes...and of course I had to put Bubbles staring into it! "My Bubbles." 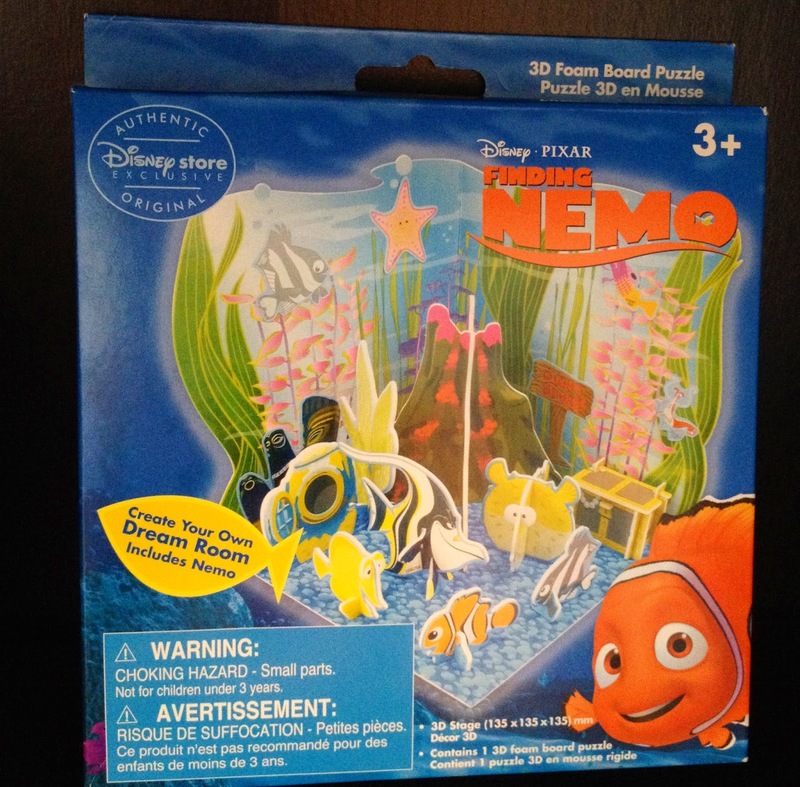 If you're a Finding Nemo fan with a love for collecting cool playsets to display (I know I can't be the only one out there), then this is for you! Like mentioned though, it's pretty difficult to find these days. If you're interested in buying this, keep checking eBay to see if a listing shows up. As usual, thanks so much for dropping by the blog today. The support really means a lot and keeps me going. Be sure to check back daily for more!